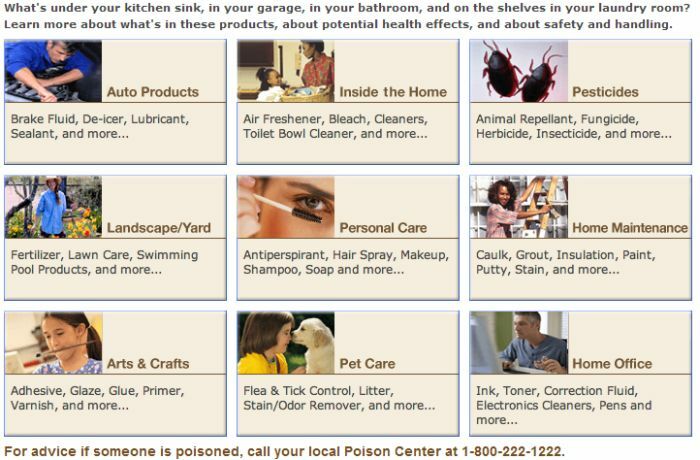 This is the Health & Human Services Household Products Database. Almost every household product in existence is listed. You can search by name or browse by product type. Every entry contains manufacturer information and safety warnings. You can also get safety information on product ingredients. Want to look anything up? Please visit stories, etc. for more pictures, stories, etc.